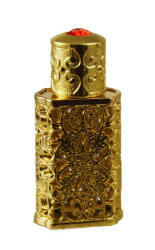 Perfume bottle information: Colored glass perfume bottles are translucent and the bottle color may appear different when filled with an anointing oil or perfume. The bottle color does NOT change but the product placed in it can affect the look of the bottle once filled. 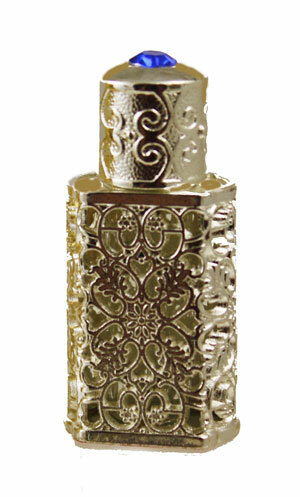 Jeweled Treasure Bottle NEW! 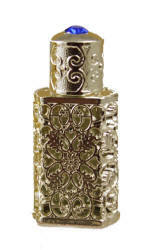 Small glass vials are encased in a gold or silver tone filigree metal case and have a jeweled crystal on top of the bottle. 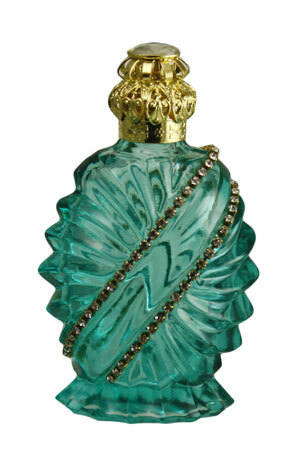 This bottle is a light teal color adorned with strands of faux diamonds. Screw on lid with diamond colored crystal. 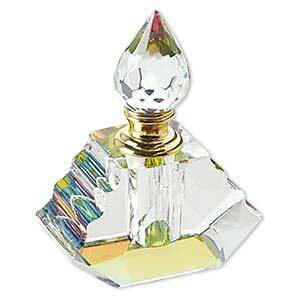 Another absolutely beautiful faceted bottle which displays a rainbow of colors. Gold accents and a threaded stopper with glass dauber. 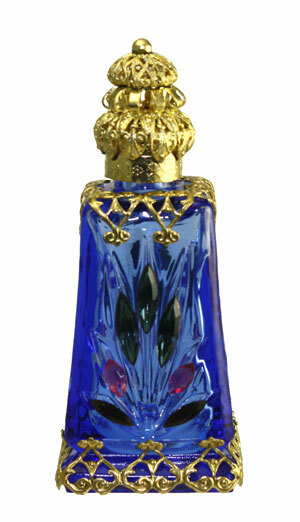 A blue bottle adorned with gold filigree and faux crystals.